How should a graduation Tableau look like in 2016? By our opinion it should be creative, dynamic, and optimized for mobile. 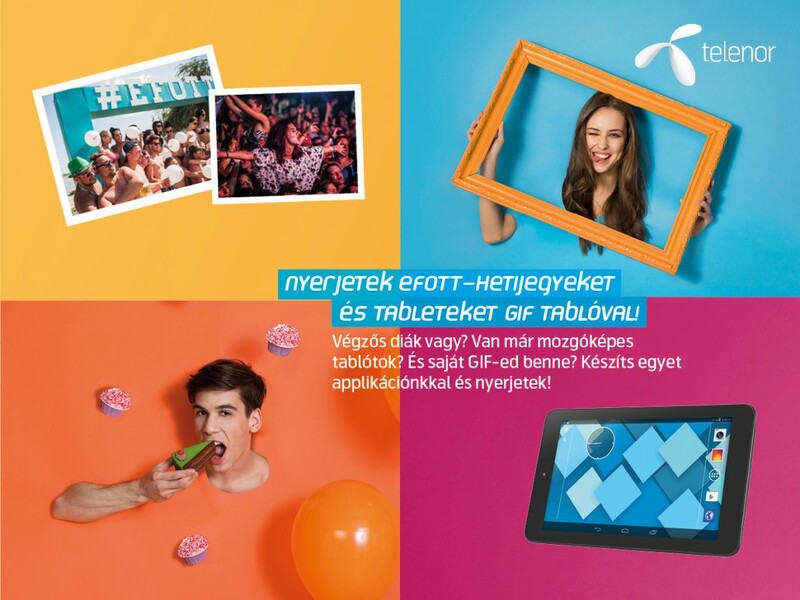 In association with Young & Rubicam advertising we suggested that idea for one of the biggest Hungarian telecom service provider Telenor Hungary targeting youngsters who has just graduated. ARworks was responsible for the creative concept, the app development and the backend system, while Y&R advertising developed the campaign, the game mechanism, and graphical appearance. The end result was a mobile based creative tableau-competition. Using our application and admin webpage graduating classes could create their XXIst century moving tableau – where instead of still portraits every picture is alive in a moving GIF sequence format. The task was complex, since we had to solve that only registered and valid classes should have tableaus uploaded, so classheads received unique registration codes via mail. After using this one-time code, the class had been registered, and from that time on one designated class member (Admin) could edit the tableau, while the classmates could upload their gif animations from their mobile to it. The final tableau was public, and shareable, and more to that it was worth sharing it since each member of the winning class with the most votes would win summer festival tickets and a tablets. In the background the app constantly communicated with a backend, that contained data, and give permission to classmates to see their tableau in progress. The same system was accounted for displaying the final tableaus and register the votes. Since it was an official competition we had to make sure that the tableaus do not contain any legally or morally problematic pictures. Therefore from our side a Moderator was checking each and every pictures that was sent, and we could remove or reject problematic content. The challenge was to develop a system that is very easy to use for the classmates, but in the background every change was logged and recorded. At a first glance the app does not seem to be complex (users could send animated gifs from their phone and check their tableaus) but we had to separate he tableaus in progress, so only the specific classmates were able to see it; and we had to come up with different level of authentication for them while keeping the login very simple. The Admin could change the background, color and layout of the tableau, and of course there were the individual gif animations where classmates could do whatever they wanted to show within the 4 sec time limit – and they did! Every tableau was different at the end, each class came up with unique theme and idea for their graduation memory!